Preferred Care at Home of Northwest Louisiana is honored to receive the Shreveport Chamber of Commerce’s 2016 business of the year award. Click here to read the full article. This Preferred Care at Home office received the Pinnacle Award Silver for their top production milestones and commitment to ensuring quality care. Most outstanding performance in their first operational year of business. 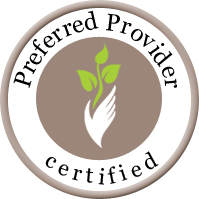 Preferred Care at Home Northwest Louisiana receives award for top production and service. This award recognizes the exceptional impact their home care services have on the community they serve. The owners of this office have achieved a CSA designation in recognition of completing the Certified Senior Advisor course, investing both time and effort in learning about the things that are most important to aging adults. They have demonstrated superior knowledge of key health, financial, and social aspects of aging, with a focus on people, not products. You can expect this office to integrate the CSA education and it’s code of ethics into their professional practices.